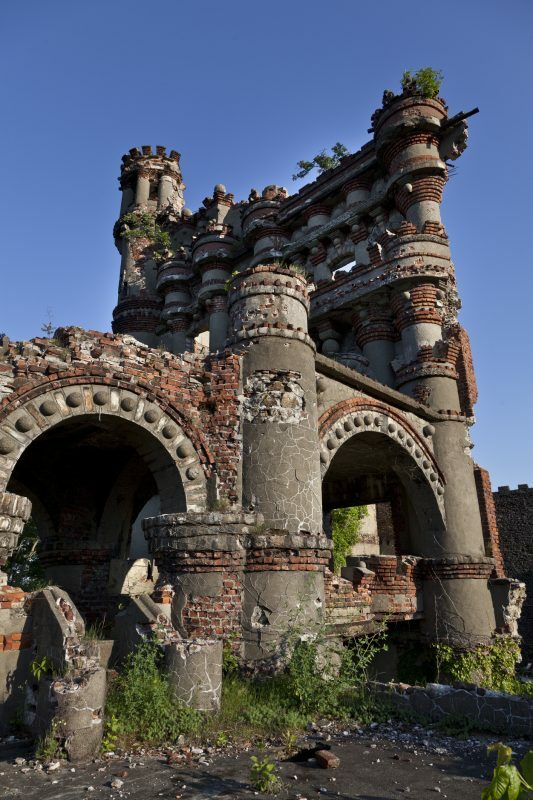 Pollepel Island, commonly called Bannerman Island, is a small island about 50 miles north of New York City. Its storied history was detailed by the New York Times in 2017. According to the Times, Francis Bannerman bought the island in 1900. A Scottish-born arms dealer, he used it to store his volatile munitions surplus. Inspired by castles he had seen in Europe, he began to build a grandiose fortress to house his products as he had been required by law to move them out of his previous headquarters at 501 Broadway. When Bannerman died in 1918, construction ceased. During this stagnation, another Times article (from August 16, 1920) explains that over 200 tons of ammunition and powder exploded within an ancillary structure, severely damaging the fortress. Part of the tower was reportedly blown out into the river, and residents speculated that the explosion was the result of river pirates attempting to steal munitions from the island as they had done before. The history of the island stretches back long before Bannerman’s purchase, however. Medium.com notes that it was regarded as haunted by the ancient indigenous peoples. It was also used in an attempted defense of the Hudson Highlands in 1777. Devices known as chevaux de frise, or Friesian horses, were placed in the river. These consisted of sunken sharpened log cribs with metal points designed to damage passing boats. Inmates from a nearby prison were reportedly recruited to aid in the construction of the traps. Unfortunately, the British used flat-bottomed boats for their attack, thus avoiding the traps and passing unscathed. One of the “points” is on display at Washington’s Headquarters in Newburgh, NY. 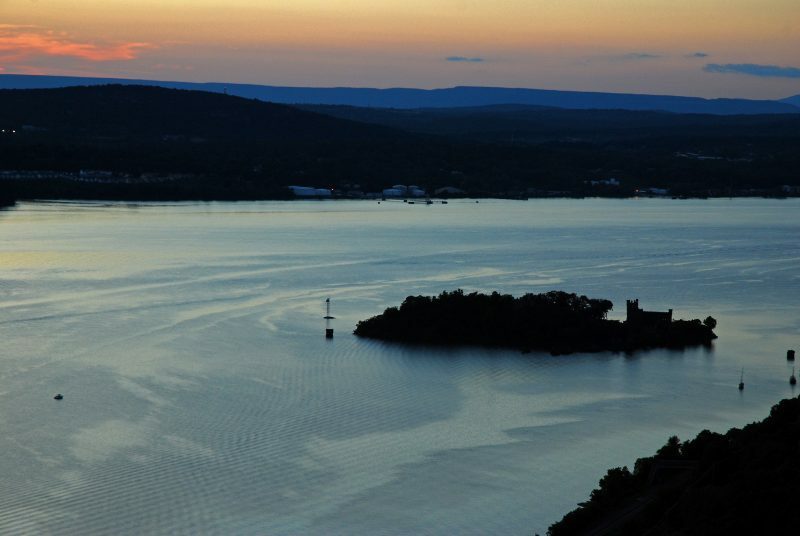 Hudsonriver.com notes that George Washington reportedly signed a plan to repurpose the island as a military prison, although one was never built. 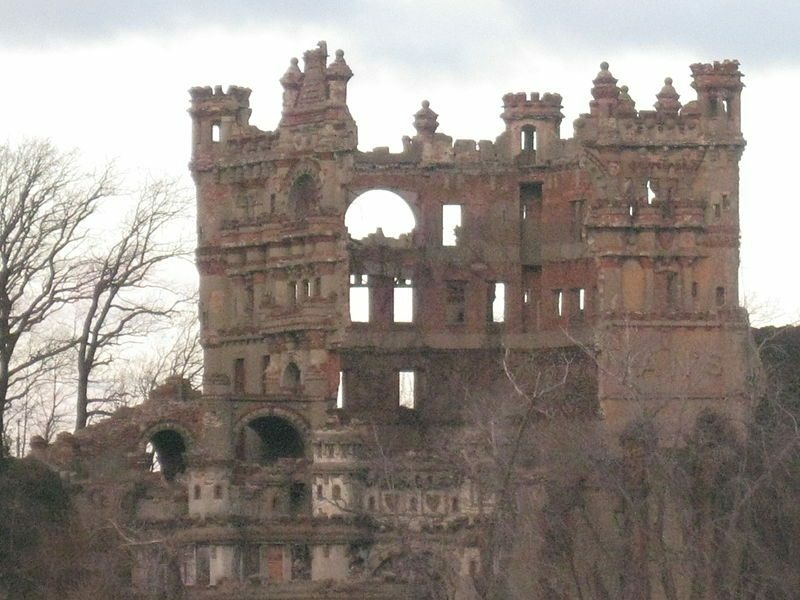 According to the Bannerman Castle Trust, the name “Pollepel” originated from an old folktale associated with the island. In the legend, a young girl named Polly Pell was rescued from the icy river by a man whom she eventually fell in love with and married. The website goes on to say that the island changed hands a few times after Bannerman’s death, eventually being donated to the people of New York State by the Jackson Hole Preserve (Rockefeller Foundation). 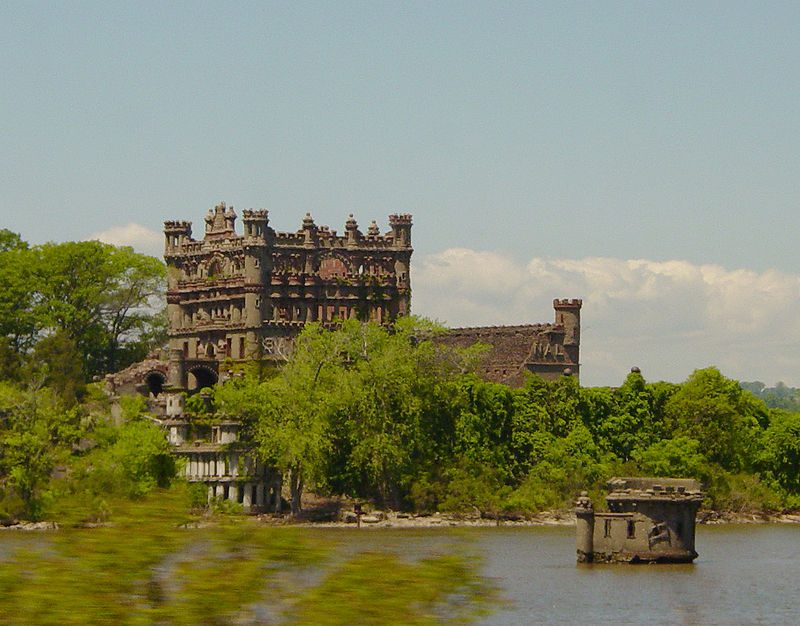 According to many the castle is visible to people riding the Metro-North Railroad Hudson Line. The wall, emblazoned with the words “Bannerman’s Island Arsenal,” is visible to both north and southbound passengers. 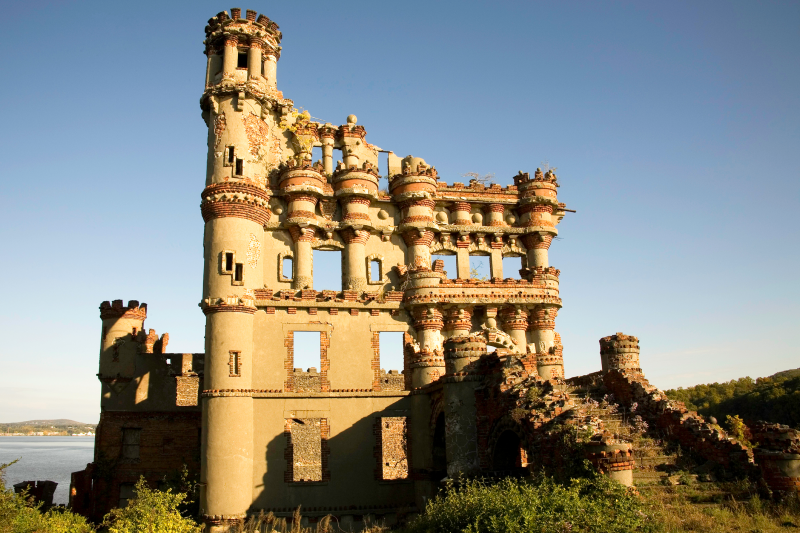 The Bannerman Castle Trust administers tours and performs maintenance on the fortress. Tickets are $35 (USD) for adults and $30 for children under eleven. 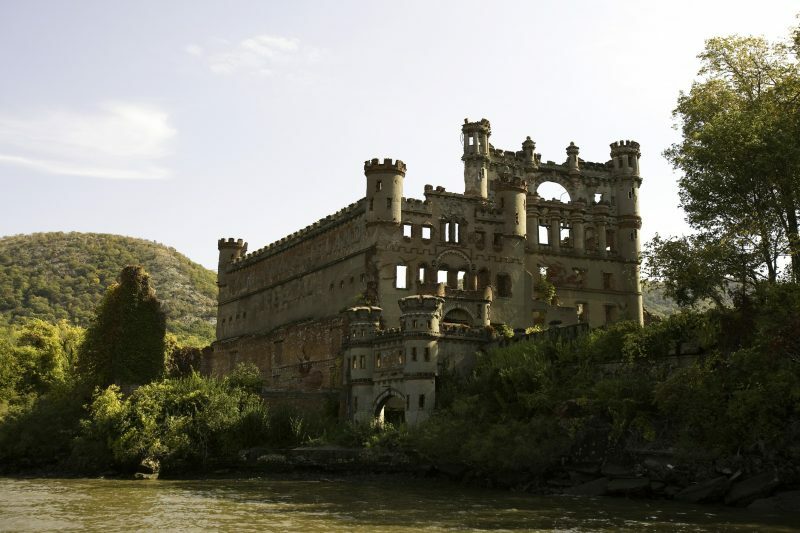 The tours offered include a tour of the castle gardens as well as a kayak tour of the island. Wedding bookings are also available.